Preheat oven to 400°. Remove excess fat from inside of chicken. Wash with cold water, drain and pat dry with paper towels. Sprinkle generously with salt, pepper, and fresh thyme. Tie legs together with butcher’s twine. Put in large roasting pan (magnalite uncovered). You can also take a large tin cookie sheet and make a foil liner with sides deep enough to keep it from splattering. Add some olive oil to keep from sticking. Set oven on convection/bake (400°). Bake for 55 to 60 minutes until golden brown. Do not overcook. Overdone means tough white meat. Let stand for ten minutes so juices will not run out before carving. 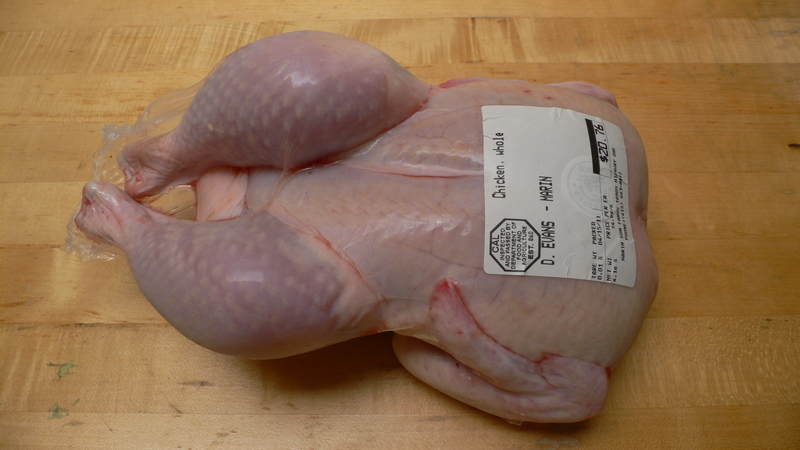 Fresh half chickens are available from Marin Sun Farms. River Dog half chickens from Avedano’s. They come vacuum-packed and can be frozen, to be quickly and conveniently thawed and cooked. Preheat oven to 400° on broil. Bake for 20 minutes on each side. Alice Waters and The Art of Simple Food. 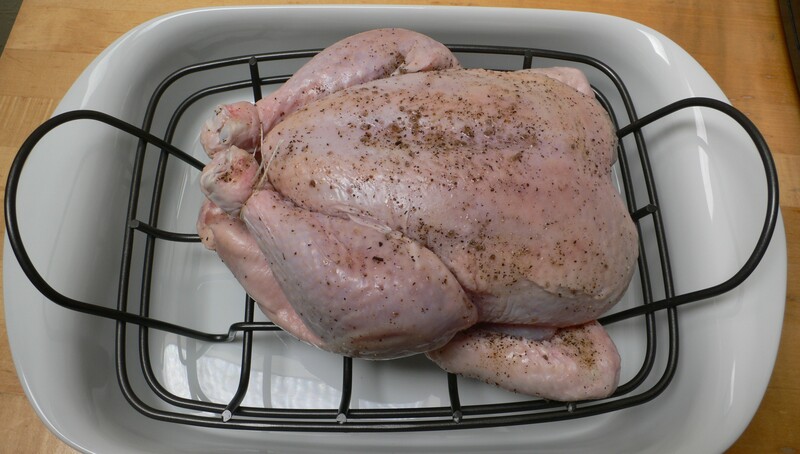 Recommended reading: tips and techniques on “Roasting a Chicken” from her book.